AWESOME! 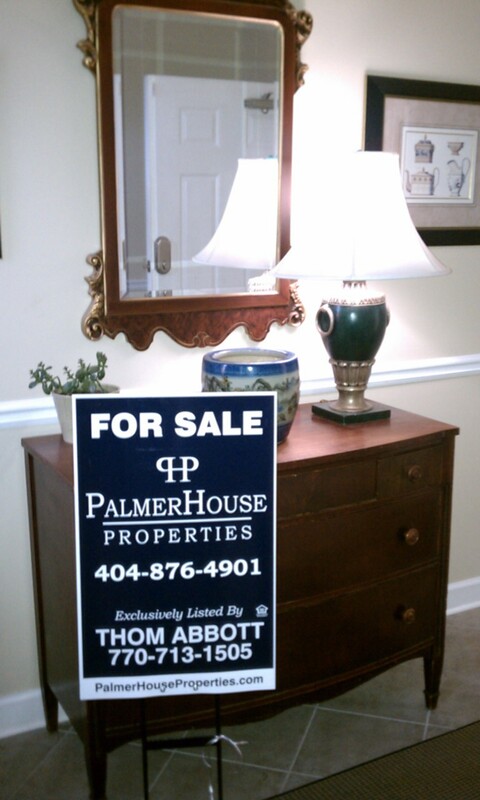 You’ve decided to sell your Midtown Atlanta condo! The market is on the move, and you may have a contract quicker than you think! But, there are some things to consider when selling your Midtown Atlanta Condo! When we sign our listing agreement with you to begin marketing your home, the agreement has a checkbox that indicates that your Listing Agent has shared with you the Georgia Association of REALTOR’s Protect Yourself When Selling A House (or Condo). That publication is the basis for these posts. Please keep in mind that not all of these tips may pertain to you or your particular selling situation. Price it right…and they will come! Midtown Condos can be under contract in the matter of a day, if priced right. But if you overprice your home….it will just be sitting there. Agents look at prices and if a home is overpriced, they will often choose not to even show it. Listen to your real estate agent and their pricing strategy! You may also want to have your home or condo appraised before you even list it. “Sellers have a duty to disclose latent or hidden defects in their properties that are not readily apparent from a reasonable inspection of the property.” In a condominium, you are not responsible for the common areas, unless an assessment has been passed to address an issue or situation. But inside your condo, you need to disclose things such as if you’ve done any remodeling, etc. When we list your condo, we will provide you with a Condominium Seller’s Disclosure Statement to complete. There is also the mistaken idea that you can avoid disclosure obligations by selling your condo “as-is.” Known defects still need to be disclosed. To do this, you need to declutter and make your home inviting. Remove (consider a storage place short term) all those photos and personal items. A photo or two is fine, but I’ve been in a condo where there was a wall of pictures. The Buyer’s spent more time looking at the pictures than they did the condo! This is also the time you want to secure and protect valuables like prescription drugs, checkbooks, jewelry and such. I’ve shown homes where bank statements with account numbers were just laying on the desk….not good! Your home should NEVER be shown with out a real estate agent being present! Either I as your Listing Agent would be there (for an Open house) or the Buyer would be with their agent. They will gain access by using a special key to open the lockbox. With today’s technology, we can have many documents related to the sale of your home in the MLS and attached to your listing. This can include the Seller’s Property Disclosure Statement, Utility Information and HOA disclosures. This way, as an agent prepares to show your home, they can either review these documents or at least have access to them to answer questions from the Buyer. If the agent is using an iPad, they can open these right while you are viewing the condo! However, some home owners and agents prefer to have a Home Book in the home. This contains the items noted above, and they are there for the buyer and agent to review while they are looking at your home. Depending on if you are selling a single family home or a condominium will dictate which way you want to provide this information as well as what you may need to provide. In our next segment, we’ll review real estate contracts, keeping copies of everything, what can happen while your home is Under Contract and how to address issues that buyers may have with your home or condo. If you missed Seller Tips for Midtown Atlanta Real Estate Part 2, Click Here! Seller Tips for Midtown Atlanta Real Estate Part 3, Click Here!